How to Make Hawaiian Ribbon Leis - A Step-by-Step-Guide: According to Hawaiian tradition, leis are symbols of love and friendship, to be given to others with a warm embrace and a kiss. Unlike flower leis, which eventually wither and fade, ribbon leis are treasured through the years, gifts of aloha that can last a lifetime. 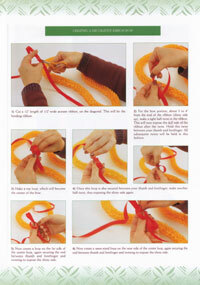 For this reason, beautiful and everlasting ribbon leis are a popular alternative to flower leis in the Islands. 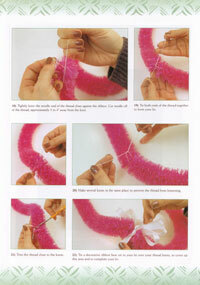 With this first-ever easy-to-follow visual guide you can fashion your own ribbon leis from materials found at any craft or fabric store. 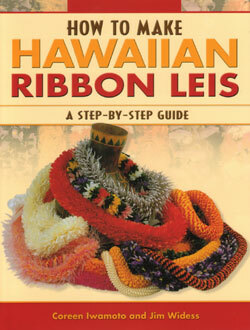 Fifteen different ribbon lei designs are showcased. Many are created to resemble local floral favorites such as pikake, 'ilima, hinahina, firecracker and white ginger. 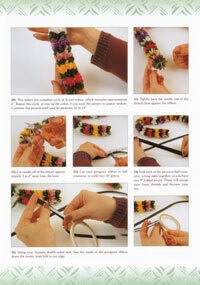 Each design is described in detail with step-by-step instructions and colorful photo illustrations. Each design is described in detail with step-by-step instructions and colorful photo illustrations. 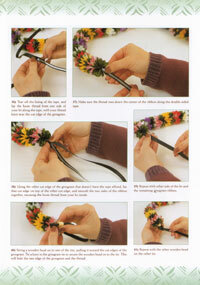 You'll even learn how to knot a decorative bow to complete your lei. 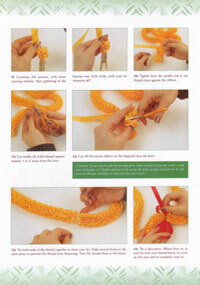 And you'll learn a neat trick for finishing the ties for a colorful haku choker. Coreen Iwamoto was born and raised in Palolo Valley on the island of O'ahu. Dancing under kumu hula Mark Keali'i Ho'omalu, she learned about Hawaiian craftmaking, and was given the name "Mikioi," meaning "dainty and neat in craftsmanship." She now teaches Hawaiian craft classes in the Bay Area and directs her own halau hula (hula school) in San Leandro, California. Jim Widess has been providing classes for basketry and gourd crafting for more than twenty years. 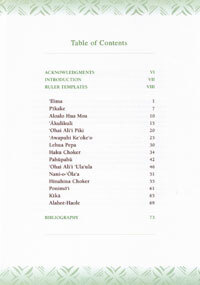 He is the owner of The Caning Shop in Berkeley, California, and co-author of The Caner's Handbook, Making Gourd Musical Instruments, and The Complete Book of Gourd Craft. His most recent books include Gourd Pyrography and Making Hawaiian Musical Instruments, which is the first in a series of Hawaiian arts and crafts books by Mutual publishing.